Officers in the North East are recording significant reductions and increased detection rates in tackling the crimes that affect our communities most, in particular acquisitive crime and overall violent crime, which includes serious and common assault. Tackling acquisitive crime has been at the forefront of local police activity in recent months and thanks to proactive action under Operation Magpie and ongoing efforts to support the public on taking responsibility for their own safety and security, house-breakings have reduced by 34.2% on average across the North East this year compared to the same period last year. In Aberdeen City these incidents have reduced by 39.2%, while detection rates have increased from 22.1% to 28.1% across the region. During the same period, motor vehicle crime - which includes thefts of and from vehicles - also reduced by 21.5% on average thanks to the same proactive and enforcement action and continued appeals to the public to lock up and not lose out. Across the region crimes of dishonesty have dropped by just over 10%, with detection rates up from 40.7% to 42.9%. Significant efforts have also been made in reducing and tackling the most serious cases of violence, with a 14% reduction in serious assaults across the Division and detection rates up from 87.5% to 93.6%. Detection rates for robberies are also up by more than 9% to 84.6% despite an increase in reports from 58 to 77, while detection rates for overall violent crimes as a whole remain positive (an increase from 72% to 74%). Tackling violence and the devastating consequences it can have while bringing those responsible to court is a priority for North East Division, bolstered by the recently launched national 'One Punch' campaign and many local initiatives. 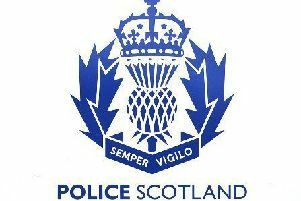 The figures cover the period from April 1, 2017, to September 30 and have been submitted to the Scottish Police Authority (SPA) as part of Police Scotland's commitment to public scrutiny. Data has also been submitted from all Divisions across the country and shows the North East to be in a strong position nationally, with detection rates for many crime groups above the national average. Divisional Commander Chief Superintendent Campbell Thomson said: "These figures are evidence of the incredibly positive work ongoing in the North East to tackle the crimes that have caused most concern to our communities. This area is generally an extremely safe area to live and work so when crime does happen we take action quickly and do everything in our power to prevent it from recurring. "Acquisitive, opportunistic crimes in particular have been a challenge locally, with one of the main causes being that because we live in such a safe area people think they will never be the victim of crime. "A group of individuals emerged who preyed on this attitude and caused significant hurt and damage by targeting homes, businesses and vehicles, however as reflected in these latest figures we continue to record significant successes in apprehending many of the criminals involved and making the North East a hostile place in which to try and commit such crime. "Across the board this data reflects the very positive ongoing work of Police officers, Police staff, Special Constables and our external partners, but I also know we could not record such results without the continued support from communities themselves. "It is the public who can tell us when and where suspicious activity is happening so that we can target our resources to the right places at the right times, whether it be to tackle acquisitive crime or seize drugs. "In Aberdeen alone drugs worth almost £2.5million were seized in the city in just one year thanks to targeted action, with 252 drugs search warrants executed. The same targeted action is carried out day-in, day-out across the region. "It is also the public who can listen to our warnings of the devastating consequences of violent crime and perhaps think twice, and it is the public who can tell us if a vulnerable person is at risk so that we can intervene as soon as possible and work with our partners to ensure they are safe. "We will never be complacent and be rest assured that our efforts will continue to ensure the area you live remains as safe as possible. However I ask the public to continue working with us to help us do this."